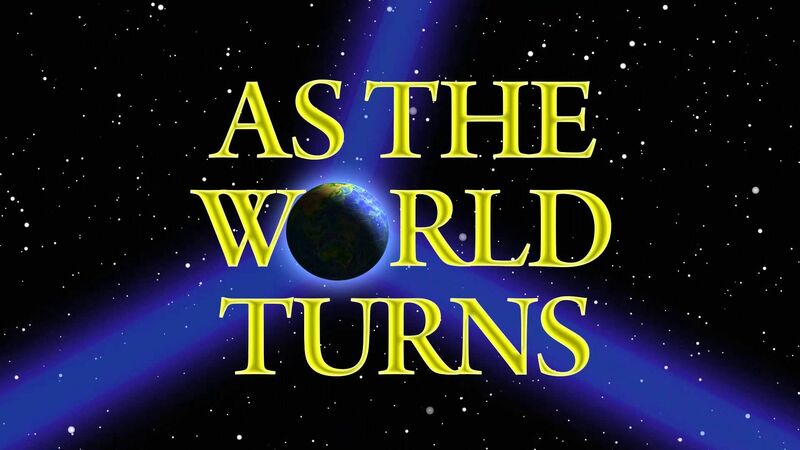 Here's where to watch every episode of As the World Turns season 44. Mouseover or tap an episode to see where to stream it. Click or tap the play icon to stream it on the best available service. Ep. #10986 Apr 19, 1999 Bob and Ben are shocked to realise that, according to the test results, there is no way that Holden can be Hope's biological father, but they decide to keep quiet for the time being. Ep. #10992 Apr 27, 1999 Margo tries to drown her sorrows by talking to Alec about Tom, Emily and her feelings for Eddie while Emily and Tom are at the hospital delivering a healthy baby boy. Ep. #11010 May 21, 1999 Denise is shocked when she gets a restraining order telling her to stay away from Hope and goes to confront Lily. When Lily tells Denise to stay away from her daughter, Denise tells Lily that Hope is her daughter. Ep. #11011 May 24, 1999 Emma tries to convince Dolores to accept Carly as Brad's wife and a member of the family, but at a family dinner, Dolores can't help but pick at Carly. Ep. #11024 Jun 10, 1999 Even an expensive night out with Chris can't shake Katie's blues, and she confronts Georgia about 'stealing her boyfriend', not knowing that Georgia and Eddie have already talked about her scheming. Ep. #11032 Jun 22, 1999 After Reid tells her that she needs to leave town because Rita is dangerous and could hurt both her and Melinda, Julia tells Liam that she's convinced Reid is lying to her to protect Melinda. Ep. #11034 Jun 24, 1999 Proposals are flying throughout Oakdale as Molly proposed to Andy on-air in a special live radio broadcast, and Reid proposes to Julia in an attempt to regain her trust. Ep. #11045 Jul 9, 1999 After reading Cass's dossier on his mother, Eddie announces he no longer wants to talk about his father and falls asleep on the couch, only to have a violent bout of sleepwalking! Ep. #11060 Jul 30, 1999 Barbara and Hal celebrate their engagement with the rest of Oakdale. However, Brad arrives and announces that Carly is a fraud and that Hal, not John Dixon, fathered Parker. Everyone is shocked. Holden is horrified that Reid hurt Julia and confronts him about it. Reid then decides to reveal that Holden and Julia murdered David Stenbeck. Ep. #11061 Aug 2, 1999 After overhearing Reid threaten to have Holden charged with David's murder, Julia reminds him that if Holden goes to jail, she will too for helping him, and Reid will also be punished for burning the body.